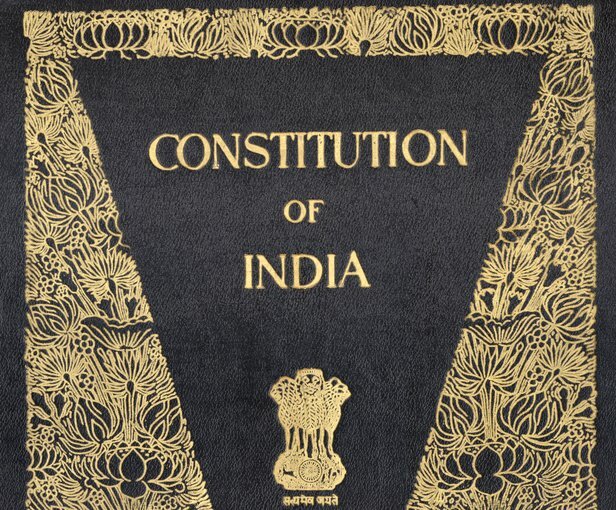 There is no doubt that despite many infirmities Indian Constitution as framed by the Constituent Assembly (CA) of India on November 26, 1949 was a fine document of liberal democracy. It’s emphasis on all-inclusive polity assuring social, political and economic justice was, in fact, continuation of anti-imperialist legacy. But Indian Constitution today faces most critical challenge to its existence. It is true that ruling parties before the enthronement of Modi government in 2014 paid lip service to the pro-people goals enshrined in the Constitution but none dared to declare that they would over-throw democratic-secular Indian Constitution. It is first time in the history of Independence India that PM Modi calls him a ‘Hindu nationalist’[i] and declares that he is RSS cadre and groomed as political leader by Guru Golwalkar. “BUT IN OUR CONSTITUTION, THERE IS NO MENTION OF THE UNIQUE CONSTITUTIONAL DEVELOPMENT IN ANCIENT BHARAT. MANU’S LAWS WERE WRITTEN LONG BEFORE LYCURGUS OF SPARTA OR SOLON OF PERSIA. TO THIS DAY HIS LAWS AS ENUNCIATED IN THE MANUSMRITI EXCITE THE ADMIRATION OF THE WORLD AND ELICIT SPONTANEOUS OBEDIENCE AND CONFORMITY. BUT TO OUR CONSTITUTIONAL PUNDITS THAT MEANS NOTHING”. “LET US NO LONGER ALLOW OURSELVES TO BE INFLUENCED BY FALSE NOTIONS OF NATIONHOOD. MUCH OF THE MENTAL CONFUSION AND THE PRESENT AND FUTURE TROUBLES CAN BE REMOVED BY THE READY RECOGNITION OF THE SIMPLE FACT THAT IN HINDUSTHAN ONLY THE HINDUS FORM THE NATION AND THE NATIONAL STRUCTURE MUST BE BUILT ON THAT SAFE AND SOUND FOUNDATION. THE NATION ITSELF MUST BE BUILT UP OF HINDUS, ON HINDU TRADITIONS, CULTURE, IDEAS AND ASPIRATIONS”. All those who are concerned about the future of democratic-secular Indian polity must come together to resist the anti-national agenda of RSS. [i] Modi as CM of Gujarat interviewed by Reuters at former’s residence at Gandhi Nagar, Gujarat, July 12, 2013. [ii] M.S. Golwalkar, Bunch of Thoughts, Sahitya Sindhu, Bangalore, 1996, p. 238. [iii] RSS, Shakha Darshikha, Gyan Ganga, Jaipur, 1997, p. 1. [iv]MS Golwalkar, Shri Guruji Samagar Darshan (collected works of Golwalkar in Hindi), vol. 1, Bhartiya Vichar Sadhna, Nagpur, p. 11. The last speech to the constituent assembly by babasaheb Ambedkar is of great relevance in present situation ( publishe in the wire.in) . As he rightly asserts, we should not only have political democracy but social democracy as well. He also asserts annihilatio of caste as crucial for equality.